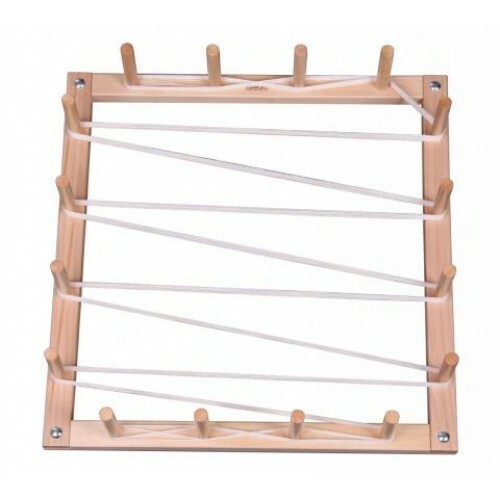 A warping frame is essential for careating a warp of correct size and tension. The pegs set firmly at regular intervals makes this a strong and sturdy frame, a perfect accessory to your table loom. This frame comes lacquered with pegs glued in place ready to bolt together. Holds a 4.5m (14½') warp.